How absolutely amazing is this dress?! 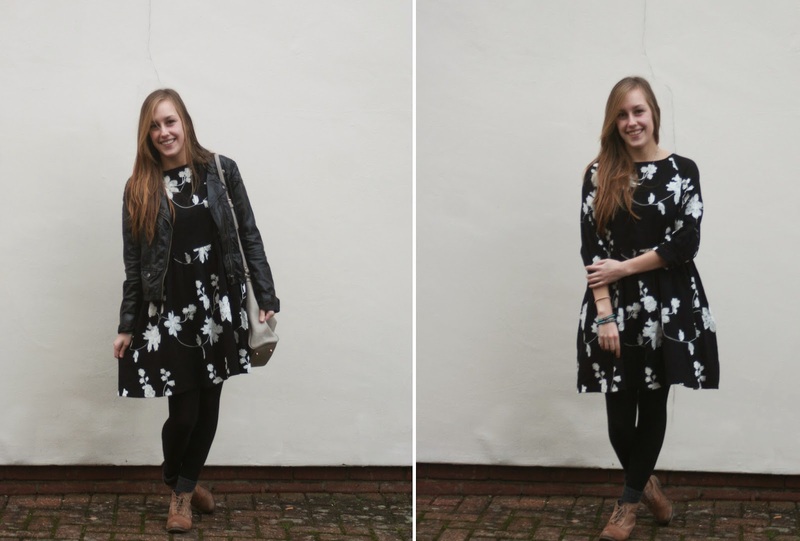 I discovered The WhitePepper a little while ago when I looked through various blogs and absolutely fell in love with the brand. It is definitely like smock dress heaven and for someone like me, who just love smocks then you really will want to spend every pay day on their dresses. This dress was like love at first sight, I absolutely adored it and just spent far to long looking at it whenever I was on the internet so you can only imagine my absolute delight when Sam surprised me with it one day, I really did feel like the luckiest girl in the world! The embroidered flowers are just so pretty and I really cannot wait for the S/S collection to arrive as I'm sure I will just HAVE to pick up something(s). On Saturday I went for breakfast at Bill's with Sam after pleading him for absolutely ages to go out for breakfast, instead of spending our usual Saturdays in bed (which are still very nice after long weekdays) I'd been wanting to try Bill's for absolutely ages as I'd heard so many good things about the place and let me tell you, we were not left disappointed at all! When we first stepped through the doors we realised it was quite busy and there was a queue to be seated so we started to worry a little as we really wanted to try the breakfast menu and it was creeping closer to 1, when the menu finished, but we were seated practically two minutes after arrival. We took no time in choosing what to have, as we both knew we wanted the pancakes (we love our pancakes) and we wanted to try the Bill's smoothie and Bill's juice which was easy enough. We hadn't even given our order less than five minutes and BAM our food was ready and brought to us which was absolutely amazing! and the pancakes sure didn't last more than five minutes either, they were just so delicious with blueberries through out and lots of maple syrup. Sam even had bacon with his which actually went so nicely! We have already decided that we want to go back to try the lunch/dinner menu we loved it so much! I thought I just had to include this photo of Sam as after he so very kindly took my photos he joked and ran about asking to be photographed, even though he pretends to be so camera shy I think he secretly loves mucking about in front of one and will no doubt find his way back onto this blog in no time! Gorgeous dress! 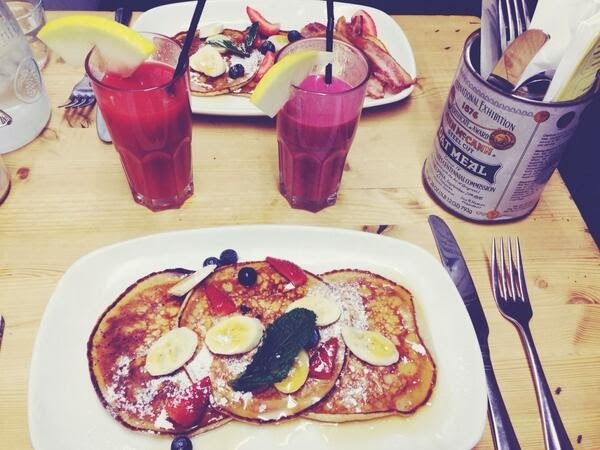 That breakfast looks incredible as well, craving pancakes now!! i need a white pepper dress in my life. they are just so cute. i can't even deal. I love this dress. I don't have anything by the brand, but I keep drooling over their dresses on various blogs. I think I need to buy something as a post baby treat! I love breakfast at Bill's and always make a point of going whenever I am down south. I wish they would venture up north so I could try lunch, but I'm not sure I could move myself away from their amazing breakfasts!